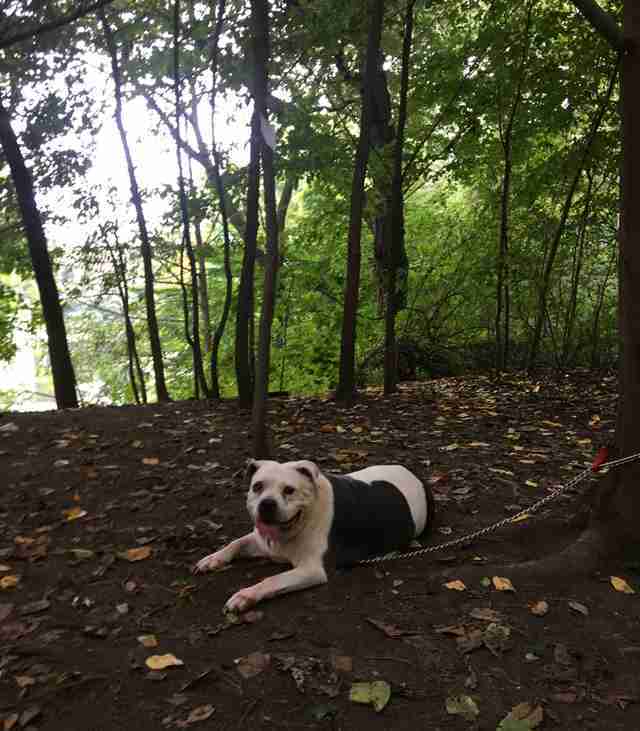 On Monday, Eric Maus, a dog walker in Brooklyn, was taking his clients, Gouda and Lily, on an extra-long hike through Prospect Park when he came across something entirely unexpected. Hanging from the tree, stuck to a cluster of leaves, was a piece of paper with a few sentences scribbled in Sharpie. 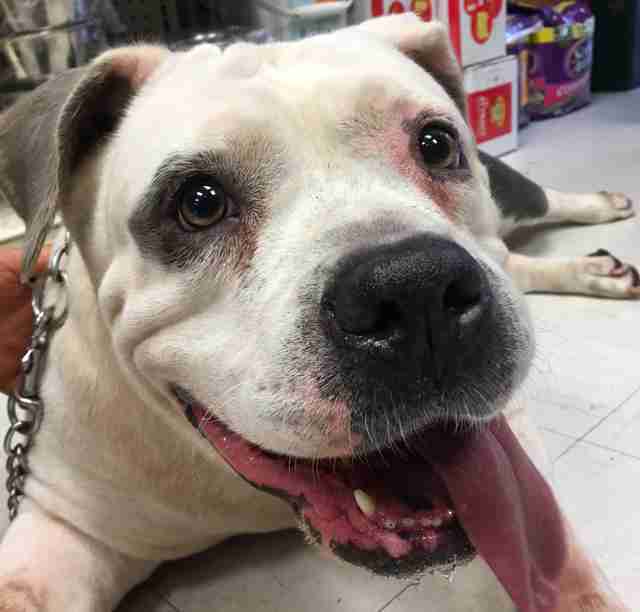 The note explained that the 7-year-old pit bull’s name was Mamas, and expressed that the dog’s looks could be deceiving. 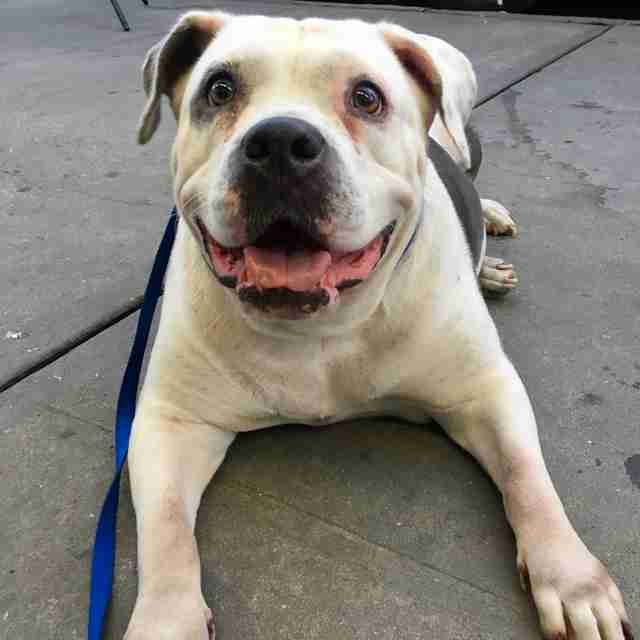 Maus’ suspicion that the dog had been abandoned in the middle of a busy New York City park was confirmed, and he knew he had to do something. But what? Maus posted a photo of Mamas to a neighborhood Facebook page asking for advice, and within five minutes the responses started rolling in. 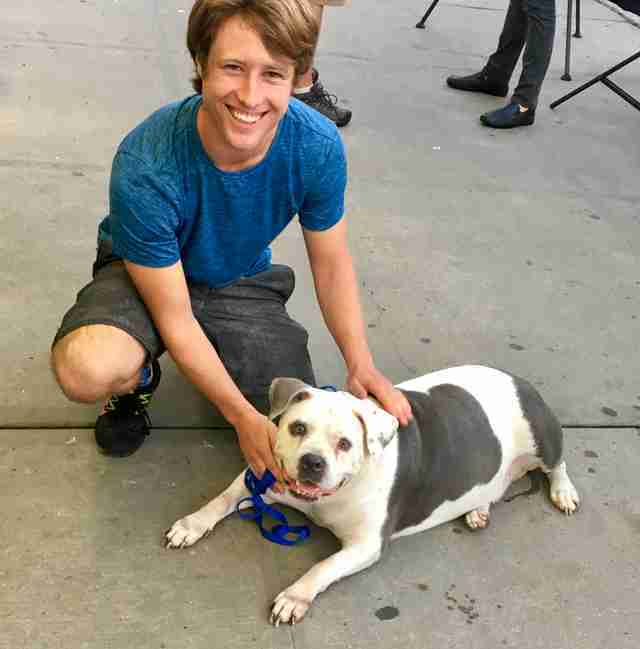 One Good Samaritan met Maus and the pup by the tree and arranged for a car to pick them up outside the park and bring them to Sean Casey Animal Rescue, a nearby shelter that was able to make a kennel available for Mamas. They walked Mamas out of the park together, but due to her size and a possible bladder infection, the older dog had to take it slow. Once the car arrived at the rescue, however, all of Mamas’ hesitancy seemed to disappear. Once Mamas’ required stray hold is complete and she receives a clean bill of health from the veterinarian, she’ll be ready to start the next chapter of her life. But, until then, Mamas is happy to be out of the park. "She's settling in well and she likes everybody and everything," a spokesperson for the shelter told The Dodo. 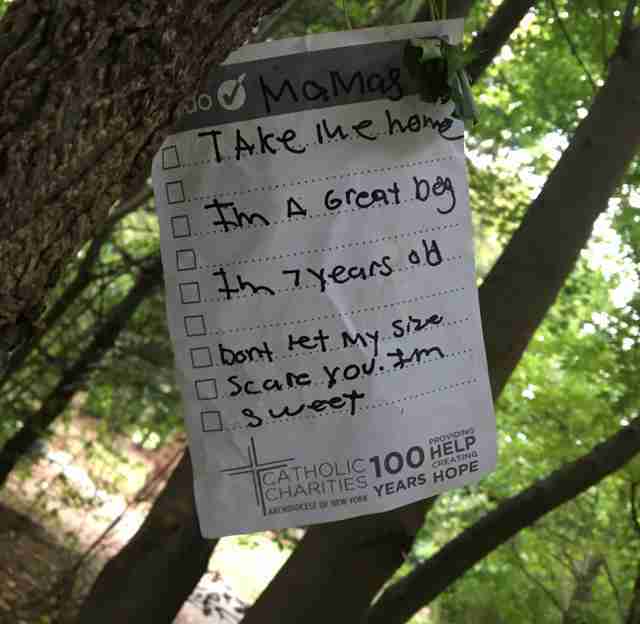 To help abandoned dogs like Mamas, you can make a donation to Sean Casey Animal Rescue.